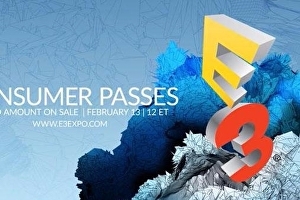 E3, the world’s most high-profile games show, will this year host 15,000 members of the public for the first time. Up until now the show has been designed for industry and media attendees, although recent years have seen these rules relaxed to allow larger numbers of bloggers, YouTubers and “influencers” through the doors. Public tickets won’t come cheap, however. A regular ticket costs $250 (£200), with early bird pricing available this Monday, 13th February for $150 (£120). Yikes.